I am back from maternity leave, booking shoots, and continuing to improve the look of things for my business. 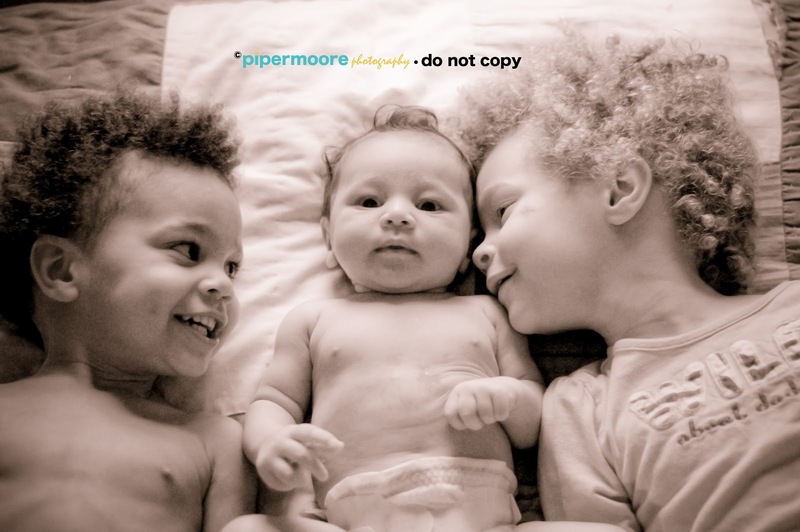 First off, I joined the world of professionalism and became pipermoorephotography.com! Much cleaner, much nicer, much cooler! I am also changing around some of the colors and look of my logos and this blog. But, I cannot do that without thanking my dear friend Bethany for jump starting this blog and making it look significantly better than what I had before. I am certain I will still be calling on her to rescue me when I reset something she created and my blog goes all crazy on me. I also tossed out the boring about me page from the past and spiced it up with a little honesty! And last and best of all, meet the three little people that have been getting all of my time the past few months.